Geiger, D. 1996. Revue Suisse de Zoologie 103(2): 339-354. 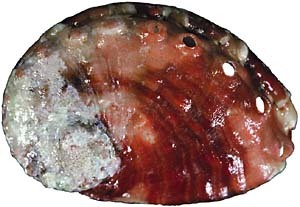 Two species of Haliotis are known from the Red Sea: H. pustulata cruenta Reeve, 1846 and H. unilateralis Lamarck, 1822. A neotype is here designated for H. unilateralis because the specimen in the Lamarck collection of the Muséum d'Histoire Naturelle de Genève (MHNG) is clearly not the original specimen described by Lamarck, which is not traceable in the MHNG collections. The neotype, a complete specimen, is deposited in the MHNG. The designated type locality is Gulf of Aqaba: Sinai: Elat. 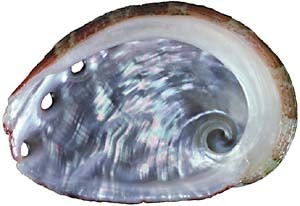 The shell is redescribed and radular and epipodial characters are compared to those of similar species. Haliotis unilateralis Lamarck, 1822: neotype.